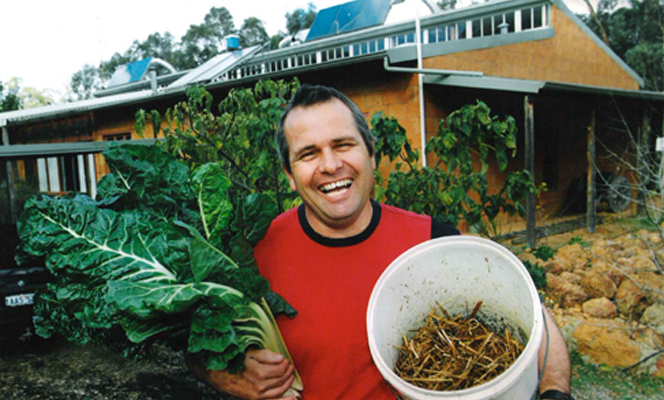 The original Candlelight Farm was a 2 acre permaculture (Pc) property is located 30 kilometres east of Perth, Western Australia, in the Darling Range. When Candlelight Farm started in Hovea, in 1992, the property contained little more then a few gum trees. It was designed as a demonstration of a permaculture system. The farm has come along since then, but has now been sold and the current new owners are continuing to develop the property. It is not available for tours. The property has a passive solar house, greywater re-use system, intensive gardens, aquaculture tanks and nursery, general plant propagation areas, large variety of poultry, compost production, worm farm, specialist fruit and nut trees, and heaps more. The new Candlelight Farm is currently been developed at a new property in Mundaring. Candlelight Farm is also the name of the permaculture business, and you can order books and videos/DVD’s published by Candlelight Farm.